Consumers made the most of the dip in the price of bullion and mainland China's gold purchases via Hong Kong hit a record 101.7 tonnes in April, up 62%, according to figures released by the Hong Kong government and reported by Reuters. Quarterly data from the Hong Kong census and statistics office showed the Middle Kingdom also exported much more gold – 34.3 tonnes of the yellow metal found its way back to Hong Kong bringing the net imports to 67.4 tonnes. China's imports hit a record of 102.5 tonnes in November 2011 and for the whole of last year net imports were 380 tonnes, up from the roughly 120 tonnes in 2010. 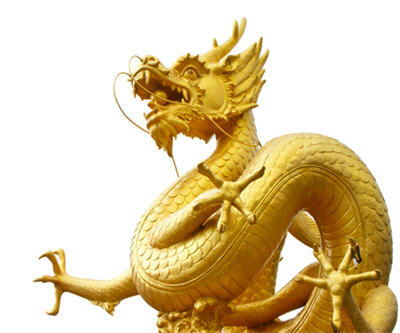 China's renewed appetite for gold is in contrast to India, historically the number one global importer of the metal. India’s gold demand is expected to fall by 4% in volume in 2012 according to a new Morgan Stanley survey. India imports between 800 to 1000 tonnes of gold each year. Indians already own 20,000 tonnes of gold worth $1 trillion – that's about half the GDP of the nation.